An astonishing array of superb musicians has woven its way through my bands over the years. I’ve routinely asked players to do things that are, if not impossible, certainly unreasonable. They’ve all gone well out of their way to help me realize the odd sounds in my head, and to suggest new sounds that wouldn’t have occurred to me. Gratitude, gratitude, gratitude! My current band as of 2013 is a quartet consisting of myself, Bryan Beller on bass, Rick Musallam on guitar and Joe Travers on drums. All of us go back together many years (Bryan and Joe first played with me in the group Z in the early 90s, and Rick joined my group Beer For Dolphins in 1999). At this point our musical relationship is essentially telepathic, and even after all this time the band has the capacity to surprise me (and hopefully the audience) with its agility and ingenuity, not to mention its sheer power. It’s a true privilege to work, play and hang out with these guys. 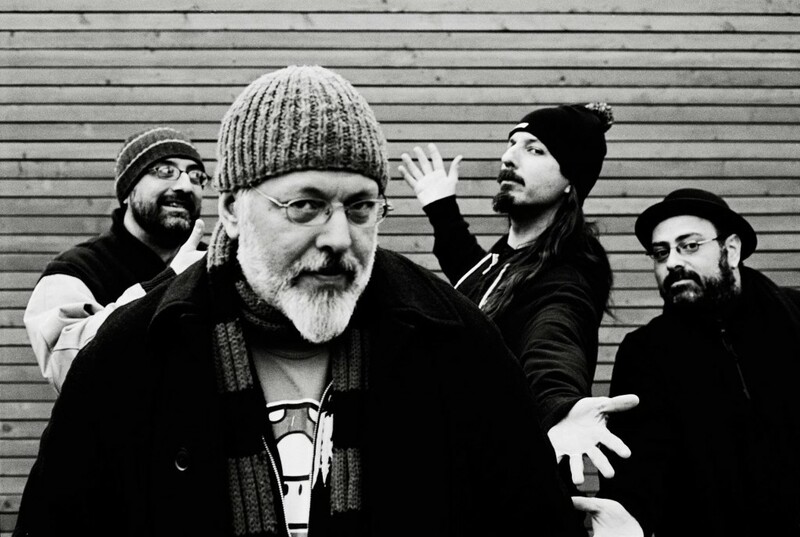 Note: In January 2002 Mike Keneally & Beer For Dolphins became the Mike Keneally Band.